Today we're having a bit of a do-over. If you remember back in August I visited Bicester village and was less than impressed. If you haven't already read that post then make sure you take a look so you know what happened before reading the update. To give you a brief outline, I stopped at Bicester on the way back from visiting family in Milton Keynes. As a blogger I've heard so much about the outlet and it's somewhere that I've always wanted to visit. I wasn't exactly looking my finest as I was only planning to travel home, but I don't suppose you would ever think to dress up to go shopping. When I got there, I was fully aware that the centre wasn't going to cater to anyone of my size, but you know how much of a handbag addict I am, so that was what I was here for anyway! Walking round the shops it became apparent that I perhaps wasn't their usual clientele, but at the point that a shop assistant said " we don't cater for people like you", I was pretty sure I was done and not going to go back. On the way home, I wrote a blog post about my experience as I didn't want other plus size bloggers to go and be disappointed as I was. Bicester Village actually saw my blog post, and invited me back for a VIP experience to make up for the first trip, which I really appreciated. The VIP experience basically means that you have a private area to take a well-earned break from your shopping that you can come back to at any time and you don't have to carry your own bags, which doesn't sound like a lot but believe me it makes your day much more relaxing than fighting the masses without a break. 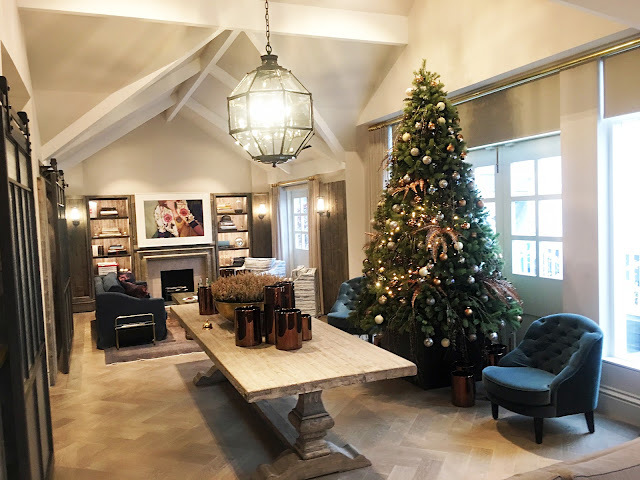 The room we were shown into was beautiful, had plenty of space for several guests to have their own separate areas and also had changing rooms to try on clothes in comfort. The decorations were modern, but the whole area was comfortable so you didn't feel like you couldn't relax. When we visited we had free reign of the whole house, and the staff outnumbered us two to one, which is crazy to think about. When we arrived we went to guest reception and were driven to "the apartment" as they call it. 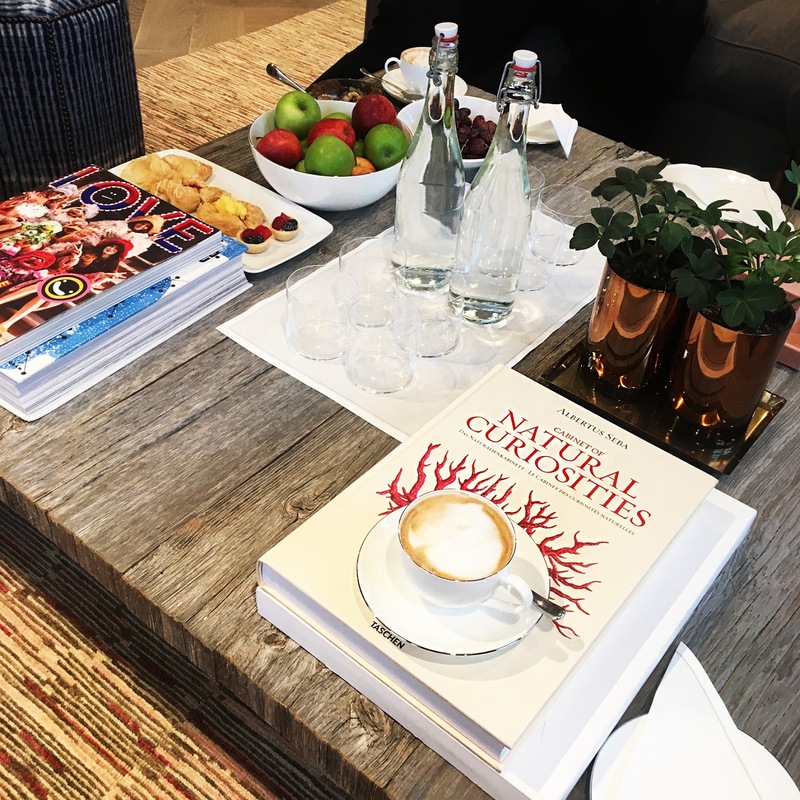 When we got there we were shown upstairs and offered coffee and pastries for brunch which were all rather tasty - although it did upset me to have my coffee served on a Taschen book. With free reign of the place, we walked onto the then snow-covered balcony and watched the world go by. As part of the package we had "hands-free shopping" which meant someone would pick up our bags and bring them back to the apartment, then later to the car for us. We were also given a 10% off voucher, but this was the most useless bit of paper I've ever been given, because not one shop that I visited actually accepted it, even when buying full price items. 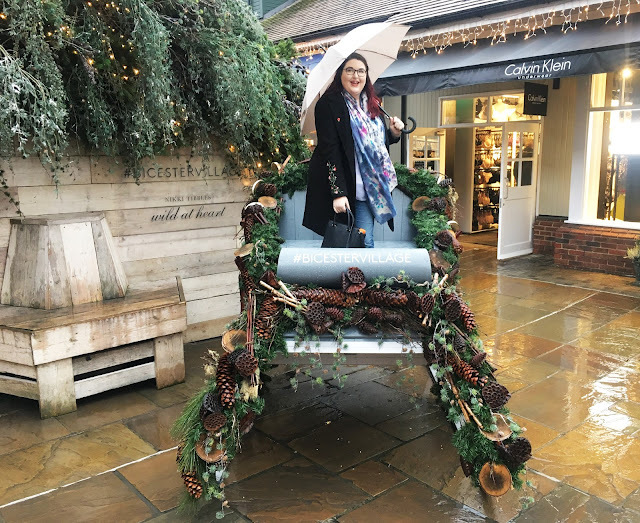 Armed with our VIP umbrellas we set off for a bit of retail therapy and, yes, I was the only person stupid enough to get on the sleigh. Given the chance to look around without the rude sales rep from our previous visit, both Dad and I were amazed at how good the deals were. I did do a bit of Christmas shopping, but the main present bought that day was for myself. If you've not seen my beloved Mulberry purchase all over my social media, then where have you been? I'm pretty sure you're all sick of seeing it now but the Mulberry Bayswater is a bag that I've wanted since I first became interested in fashion around a decade ago. I managed to get the bag for less than half price and it was limited edition from the AW17 collection, so it was a current style. 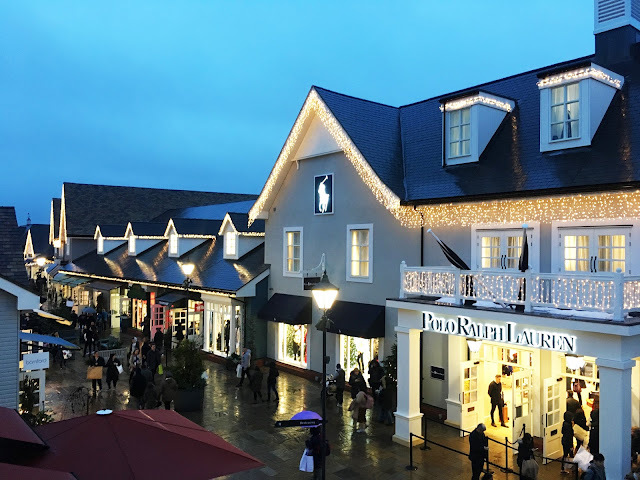 All in all, I really enjoyed my second attempt at a trip to Bicester village, although I still wouldn't necessarily recommend visiting if you're bigger than a size 14. I'm acutely aware that I was invited back after my miserable experience the first time and the staff were probably briefed on this as I was asked specifically what day and time I would be arriving and who with. However, if you're thick-skinned and love designer hand bags, or you're thin and love designer clothes then it's well worth a visit because the deals are great and it's a really unique place to go. Have you visited Bicester? Let me know what you thought in the comments below.